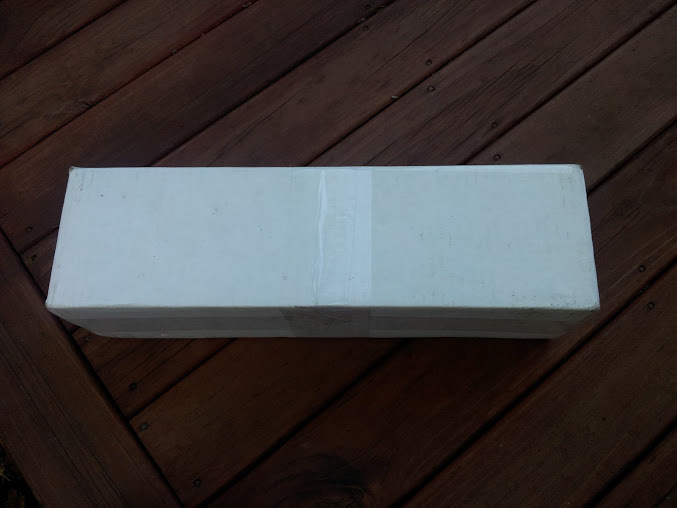 This is not so much a review as I only received this knife today, so more just a general impression. The knife in question is an Adventure Sworn Classic, originating from the US. 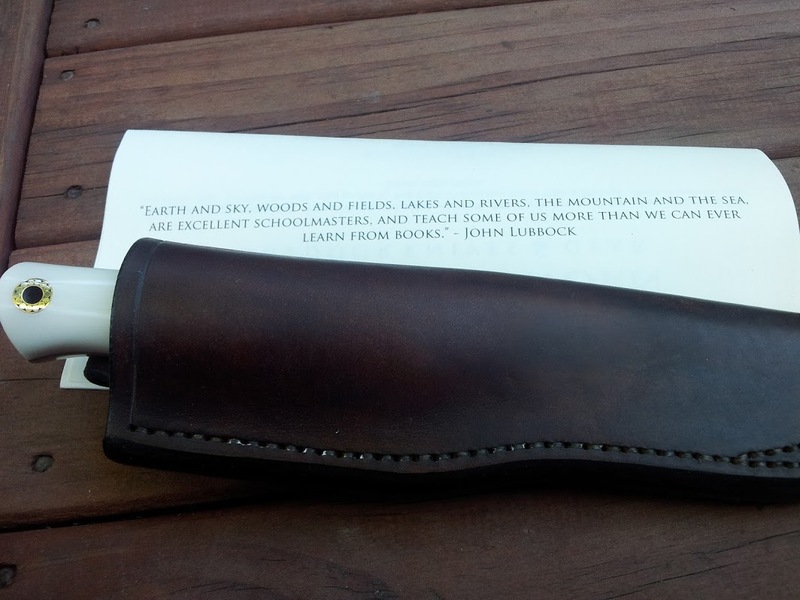 It is hand crafted by Cody (makes the knife) and Amber (makes the sheaths). The classic blade is Cody's take on the woodlore pattern made popular by Ray Mears. 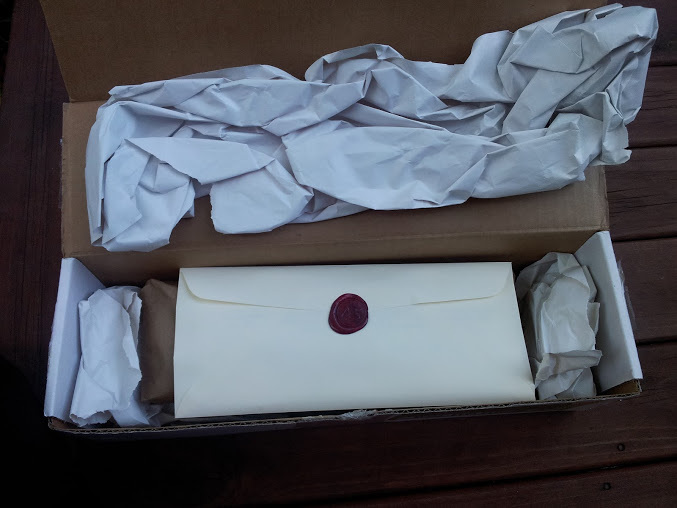 The attention to detail not only in the knife and sheath but also the way it is packaged is second to none. 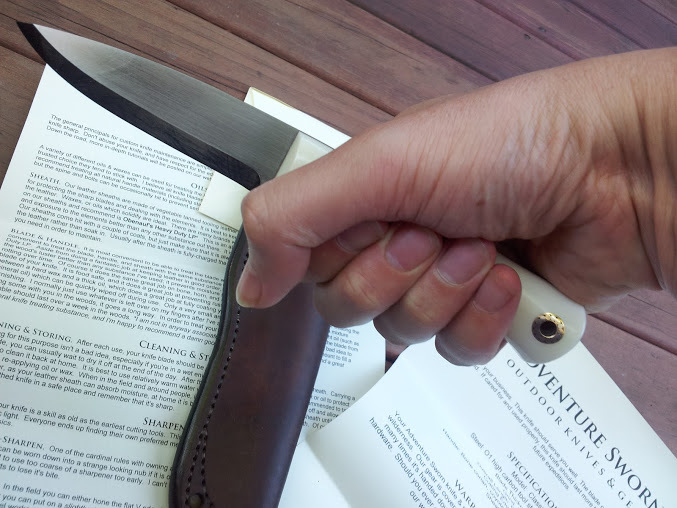 These knives are built to last and be handed down through the generations and come with a heirloom warranty. The only thing I could fault is the logo on the blade which is faint on a few letters. Not a big issue at all and something that I have encountered with other custom knife makers, obviously a tricky process. To be honest, it's not very obvious and as a knife that I intend to use for bushcraft it doesn't bother me at all. 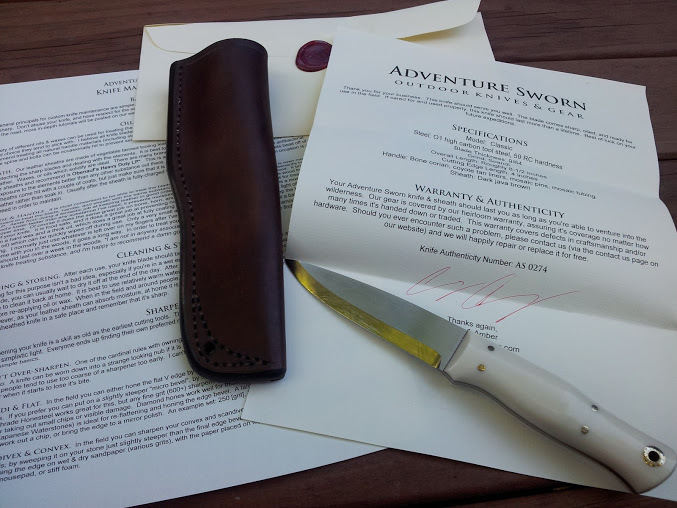 Worth noting that the knife and sheath overall have a beautiful finish, certainly one of the best I have ever encountered in a custom blade. The handle has an unusual (coke bottle) style shape which appears to be comfortable in the hand. The scale material is Corian, which I am unfamiliar with. Supposedly not as tough as Canvas Micarta or G10, but easy to work with, i.e. similar to wood. It will be interesting to see what I think in a few months. 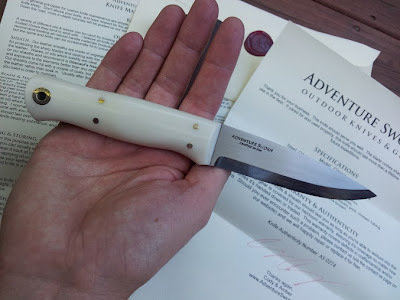 My first impression is that this will be an excellent wood carving and general camp knife. I will provide an update in a few months.